Iran has challenged comprehensive US sanctions with the claim that people’s lives are threatened by restrictions on food and medicine. Despite the illegality of sanctioning food and medicine, the US government is preventing access to these vital resources and has therefore put in danger the lives of many patients from small children to the elderly who are in urgent need of medicine and medical equipment…. 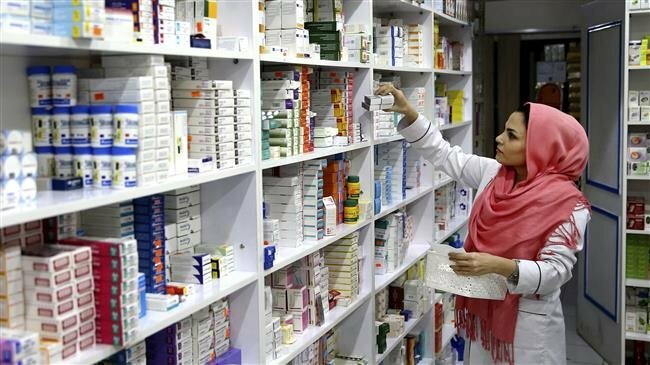 The US sanctions policy on the Islamic Republic of Iran has been devised in such a way that prevents all banking exchanges including access to essential medicines and medical equipment which are now virtually impossible. Marandi called on the UN to act against the Trump Administration’s “incessant violation of human rights”. Last week the Administration imposed comprehensive sanctions, implementing Trump’s order in May as he withdrew the US from the 2015 nuclear agreement between Iran and the 5+1 Powers (US, UK, France, Germany, China, and Russia). The unacknowledged aim of the pressure is to change the regime through public unrest with the economic situation. The US rejected a request from the UK, France, and Germany that food and medicine be put on a “whitelist” exempt from sanctions. This indifference will further discredit the United Nations in the eyes of people around the world. The Iranian Government continued to seize on US Secretary of State Mike Pompeo’s statement, in an interview last week, that Tehran must make concessions “if they want their people to eat”. Zarif said, “The US is to be held accountable for crimes against humanity re Iran & Yemen”, where Washington has supported a Saudi-led intervention in the Yemeni civil war with many thousands of civilians killed and millions threatened by lack of food and supplies. Pompeo had lashed out at Newsweek magazine for its article on his interview with BBC Persian. He insisted, despite the reported rejection of the European approach for a “whitelist”, that food and medicine are not being blocked. The same expression was used by US National Security Advisor Henry Kissinger in 1970 as Washington sought to overthrow the Chilean Government of Salvador Allende through economic measures, propaganda, and contacts with Chile’s military. Allende was finally toppled and killed in a coup in September 1973.